The Library of Congress is home to some truly amazing collections. Their American Memory Collection has scores of great images, from antique advertisements to HABS documentation (a work program begun during the Great Depression to put architects back to work and document endangered buildings). 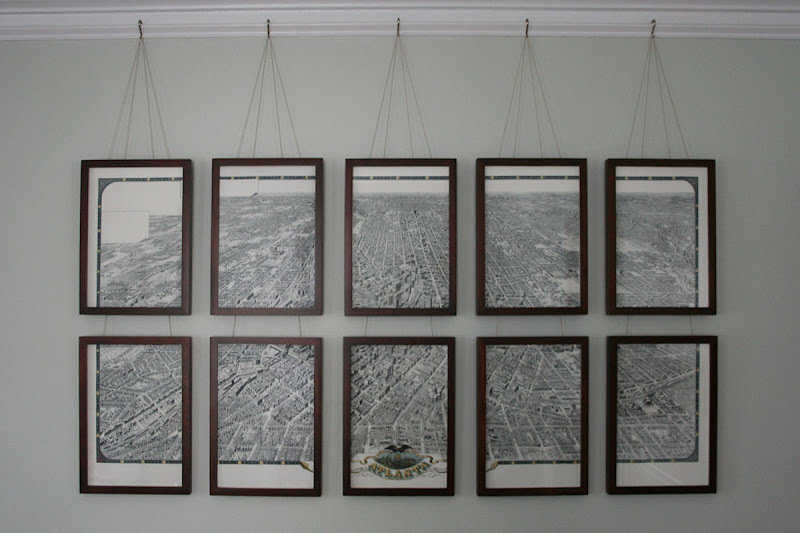 All of these are great resources for decorating, but the panoramic maps collection is my favorite. 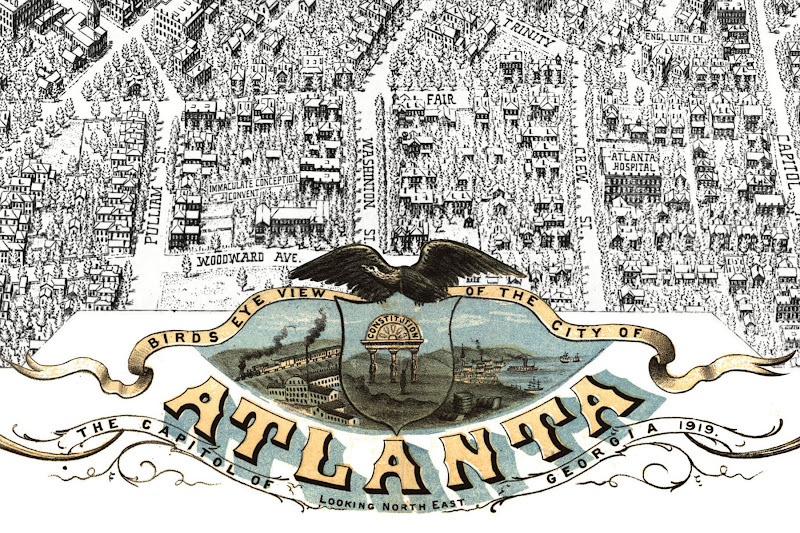 You can find most major cities within this collection, including a series by the A. Ruger company, who published colorful birds-eye views for various cities in the latter half of the 19th Century. 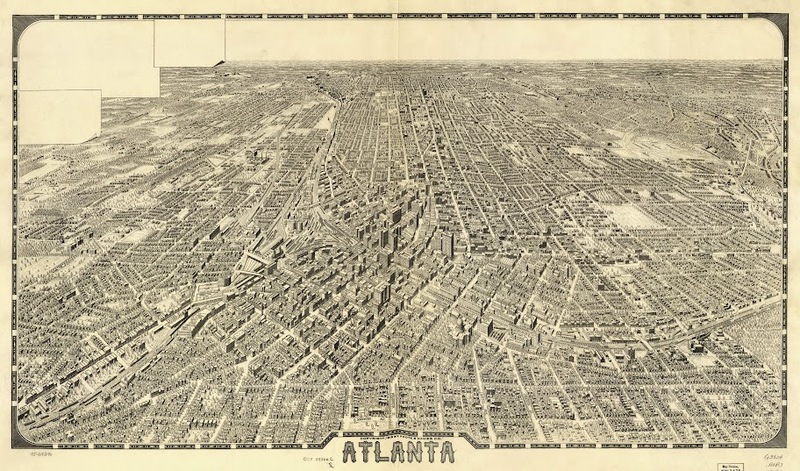 Three panoramic maps were made for Atlanta - in 1871, 1892, and 1919 - and each of the styles is very different. 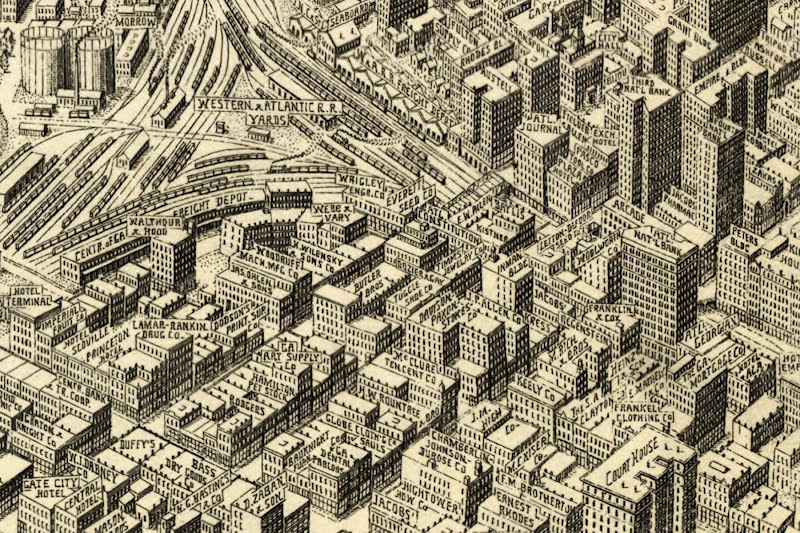 The 1919 map is particularly incredible because each building occupant is shown on a label. However, I love the colors of the 1871 map, so I did something that purists are going to hate - I took the titleblock from the 1871 map and Photoshopped it onto the 1919 map. I also changed the date, of course. You could hang these maps in poster frames. If you're in school, most colleges have plotters (large-format printers) in the college of architecture, design, or engineering, or in the library or craft center. Heavy bond (probably your cheapest option) is a matte-finish, heavyweight paper. I broke mine into parts and framed them in ten different Pottery Barn frames (store credit, baby!). I bought a large-format, good quality off-white sketch pad, trimmed the paper to 11" x 17", and printed each portion on a laser printer. So that all of the map is visible, make sure you leave margins where your print will be concealed by the picture frames. Because large, even fields of color tend to look streaky when printed, I removed the yellow from the original image (by desaturating in Photoshop, and increasing the brightness and contrast slightly), and printed it on off-white paper to get an antique look. I hung the frames with hardware store twine from these hooks from House of Antique Hardware. 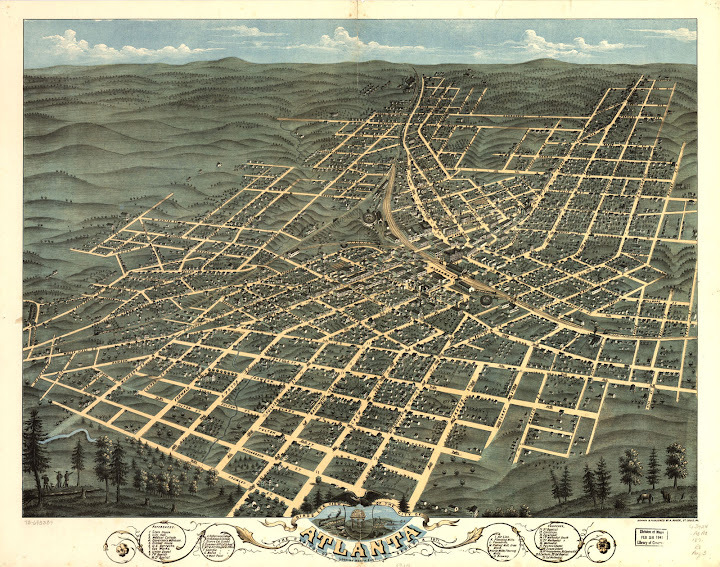 Check out the Library of Congress for a map of your city! I have some prints of London streets that are panoramic and orientated along the street rather than with North at the top which is the usual. Apparently these are the first maps that were done like this. I love them and I wish I could have afforded more of the set when I bought them. I'm right there with you, Helen! The different map-making conventions that developed over the years are really interesting. Jessica and I lived in Paris for a short while, and we had a course that studied Parisian development through historic maps - but of course it was a study, in part, of maps themselves. I can't resist them! What a great way to decorate and simultaneously pay homage to a place you love.